Dogs have their own set of behaviors, instincts, and rules that are completely separate from our own. Despite this, we live in close contact with them, sometimes putting ourselves in situations we don't realize can be dangerous. Even dogs that seem friendly or have no history of aggressive behavior are capable of biting under certain circumstances. That's why it's so important to learn as much as we can about the right way to interact with dogs. Below are some safety tips that will help you understand when a dog might bite and how to avoid ending up in those situations in the first place. Note: These tips are primarily intended for adults. Please see our Tips to Teach Kids page if you'd like more information on what to teach children about dogs. One of the first steps in preventing dog bites is recognizing situations that can make a dog more likely to bite. Respect a dog's space. Don't casually place your hands on a dog's fence or other property. Dogs are territorial by nature and may feel threatened if they don't know you. Protective moms: Don't interfere with a mother dog taking care of her puppies. She will be very protective of them. Dogs that are off leash: If a dog approaches you when it's off leash, don't run away and yell or make loud noises. Stand still, with your arms held close to you, and avoid eye contact with the dog. Be careful around sick and old dogs. They may be more irritable than a younger one. Approach these dogs with extra caution. If you choose to own a dog, you should educate yourself as much as possible on making your pet a responsible canine citizen. We're proud to give away free dog training scholarships for people in need in partnership with Animal Friends – learn how to enter for a chance to win one. Don't let your dog run loose. Make sure that the dog is kept on a cable or on a leash, inside an enclosed area, or wearing an electronic restraint collar. Train your dog. Proper animal education allows the dog to establish positive patterns of behavior. With a solid background of training, your dog will understand basic commands and have a better sense of right and wrong. Socialize your dog with both people and other dogs. Dog parks and doggie daycares are just two ways to do so. The more comfortable your dog is around strangers, the less chance there is that your dog will bite. 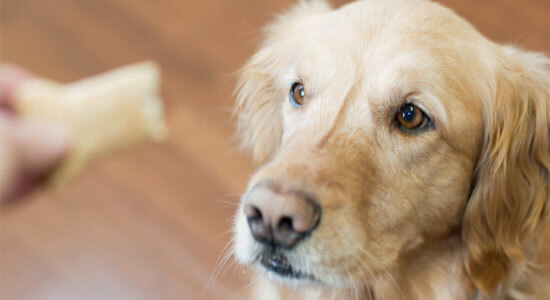 Train your dog to drop toys on command. Avoid reaching inside its mouth to retrieve toys. Focus on non-aggressive games such as fetch. Tug-of-war and wrestling can encourage aggressive behavior. Never leave children unsupervised with a dog, even a trusted family pet. Know and follow your state's leash laws. This goes for your home state, as well as anywhere you may visit. Stay where you are – don't run, wave your arms, jump, or throw anything at the dog. Take your gaze down to the ground, not making eye contact with the dog. Ignore the dog. Animals can sense our emotions, so pretending the dog isn't in front of you will help it understand you're not a threat. Lie on the ground and curl yourself into a ball if you are knocked to the ground. Cover your face and head with your arms. Leave slowly. As soon as the dog loses interest in you, back away from it until it's no longer in sight. After decades of helping people injured by dog bites, we've learned that even the best-behaved dogs can bite, and even the most cautious people can be victims. If you suffered injuries from a dog bite, we have the resources to help you figure out if you have a legal claim and to help protect your rights. Our legal consultations are free, and you won't be obligated to use our services. Call 1-866-943-3427 or fill out your information at the top of the page. If you do decide to work with us, there's no fee unless we get money for you.